Accent Fabric and Background fabric. Include the hashtag in your captions so we can all see your posts. Browse the hashtag to see what everyone else is up to! My quilt is all sewn together and quilted! I’ll share completed quilt photos soon! 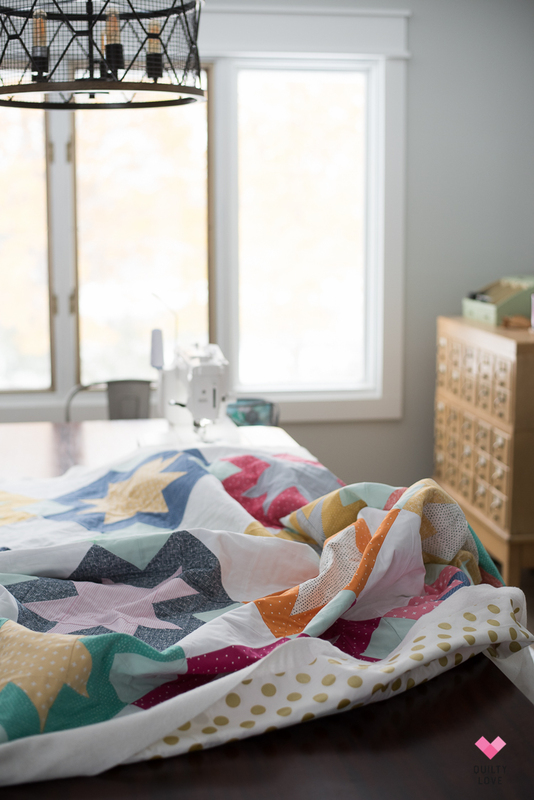 I’m using Dear Stella basics with an aqua accent for my North Star quilt. Winners are chosen and announced on Instagram. This week’s prizes come from some great sponsors! 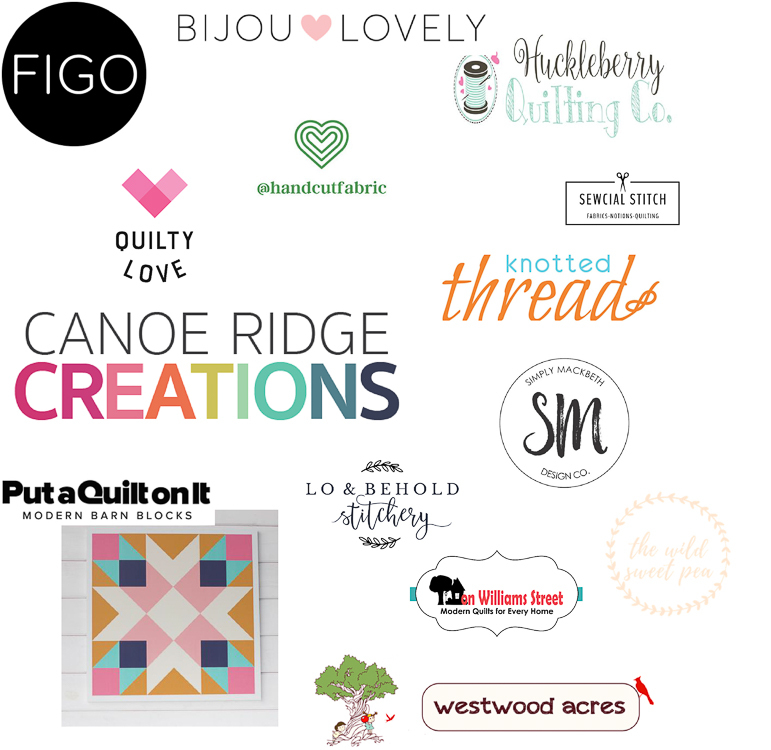 We are ending the quilt along with some pretty great prizes! One of you will receive a $100 gift card to Bijou Lovely. 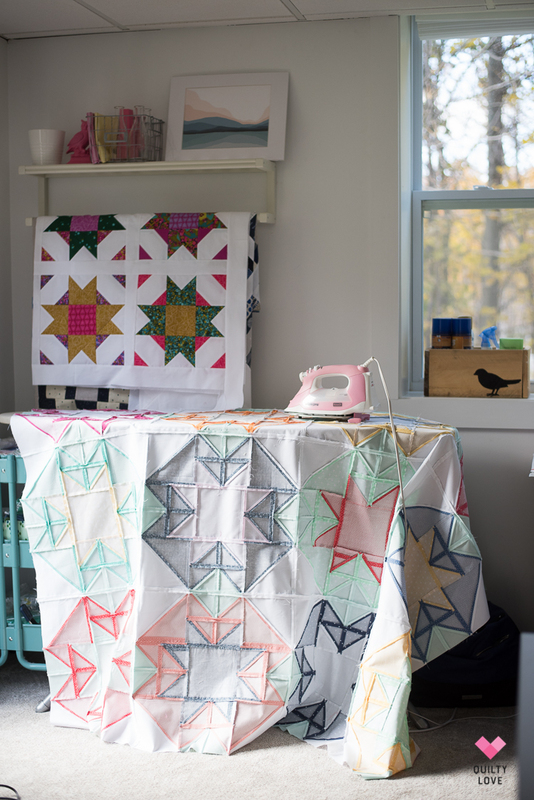 Holly’s shop is a beautifully curated shop full of fabric, notions and gifts. 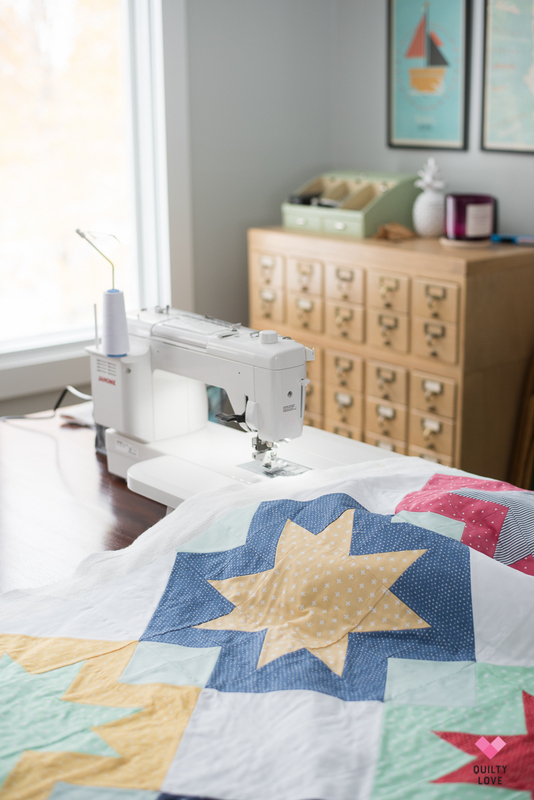 Also, the winner will receive free quilting from Canoe Ridge Creations on their North Star Quilt! (Shipping not included). 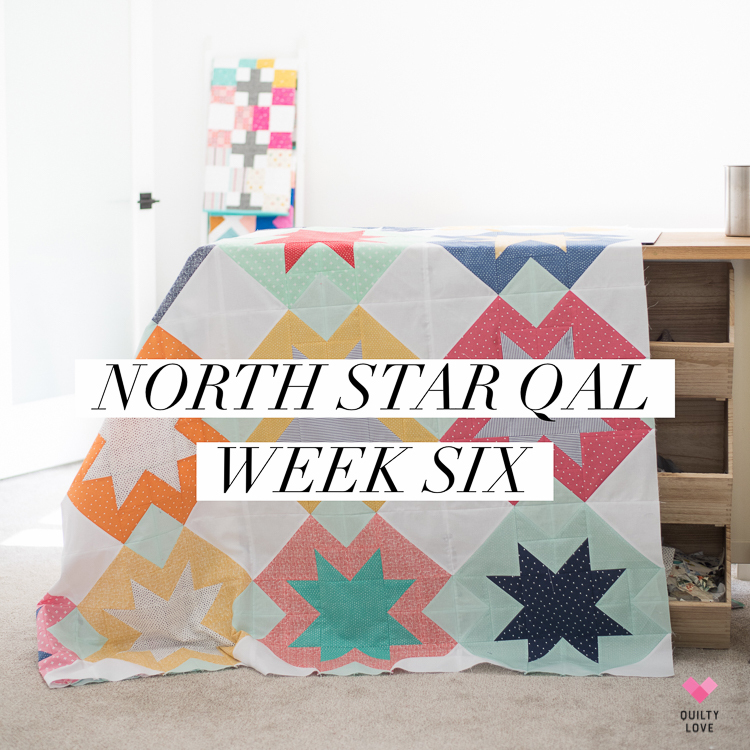 Post your mostly completed quilt tops/ blocks this week under the hashtag #northstarqal and also tag @canoeridgecreations. We will choose a winner at the end of the week!